Opera lovers of Israel, it’s time to rejoice, rejoice greatly. Those of you who aren’t opera lovers (yet), do you like movies? Well, now you can have both. This year, you can experience the cultural vibe of Vienna, Berlin, and Milan without even having to find your passport. Productions from leading opera houses and festivals, including the Salzburg Festival, the Arena di Verona, La Scala, and more, are coming to a movie theater near you. In case you need clarification: This is Very Good News. Opera screenings have so far not been common in Israel. Several Tel Aviv movie theaters tried to bring opera screenings from Europe over a decade ago, but these quickly disappeared. The Metropolitan Opera’s famous “Live in HD” productions are presented monthly at the Jerusalem Cinematheque, but they remain inaccessible to those of us who can’t get to their Saturday afternoon screenings. Enter Merav Barak, a producer, lecturer, writer, and all-round opera evangelist. She can give you a tour into the wacky world of opera in the concert halls of Israel, in various European cultural capitals, and even in the comfort of your own living room. Merav is the editor of this opera series, working in collaboration with the communication giants EllaCom and UNITEL. Opera should be a feast for the ears, and it can also be a feast for the eyes. These productions will provide ample enjoyment for both. Next up is an enticing production of Georges Bizet’s Carmen from the Bregenz Festival, Austria. 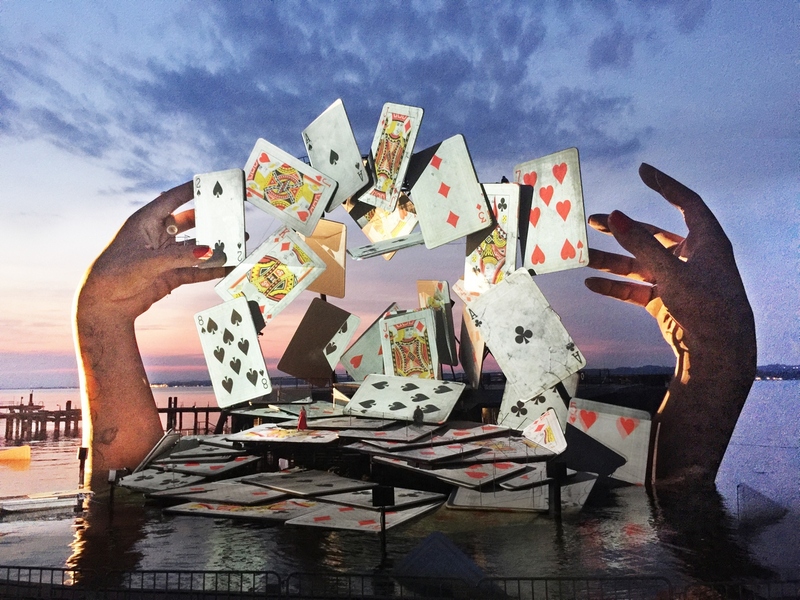 Staged across a lake in Bregenz and directed by Kasper Holten, who directed Don Giovanni at the Israeli Opera in 2018. The set is almost as wild as Carmen herself, with giant hands holding the cards she uses to tell her own doomed fortune in Act III. Featuring Gaëlle Arquez performs the role of Carmen, and one of Midnight East’s favorite singers, Scott Hendricks, as Escamillo. The opera is conducted by Paolo Carignani. April 16th – Tel Aviv Cinematheque, Cinema 4 at 18:15; Cinema 3 at 19:00. Each screening will be preceded by an introductory talk. Link to the website.